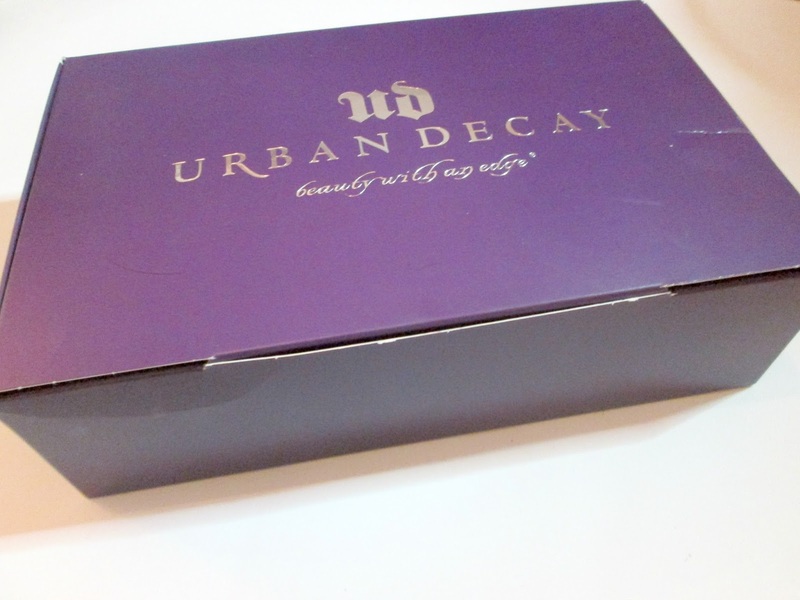 So if I'm being completely honest I don't think I've loved any make up brand as much as urban decay since I discovered them around 4 years ago. Since then I am always discovering some great products that I fall in love with and want to try so bad, but normally I sit and wait until Christmas or my birthday. 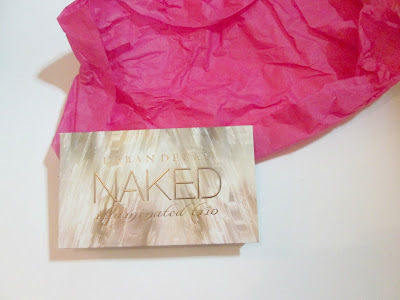 This Christmas I got this crazy great box from my parents full of a few different products that I am loving. Now I could go on forever and ever about each of these wonderful products but I'm not very good at that. But just like every other urban decay product they did not miss a beat with these. 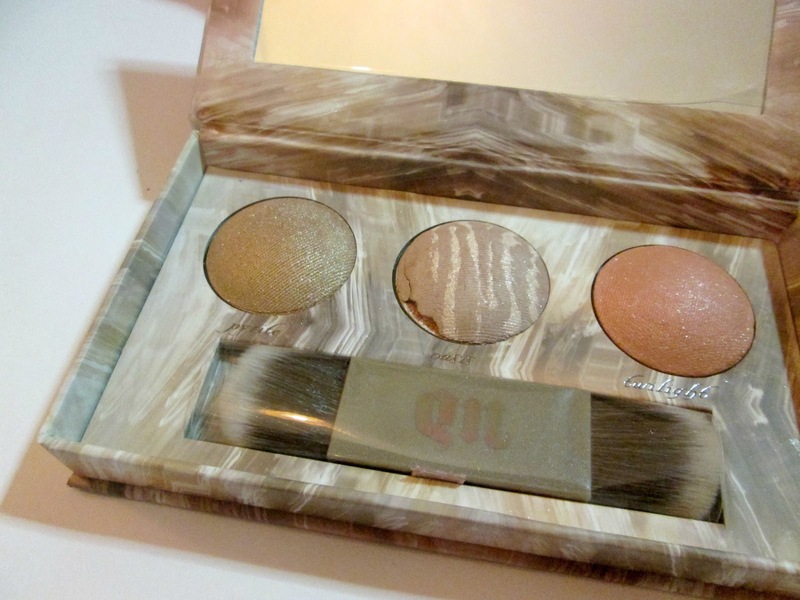 They go on amazingly and blend so well, even the pigment of the eyeshadows are crazy good. I bloody love all of these products and am excited to know if any of you guys reading have any of them and what you think. I have never spent a lot of money on mascara, and maybe that's where I've been going wrong because I have never loved a mascara as much as this one since I had a tester of the benefit roller lash which was my favourite one to use. the only thing I found a little bit annoying about the product is that the wand its self is a little big and very full of bristles so it picks up a lot of mascara and I have to wipe a little off before using it, but as far as it lasting and lasting good, An A* for the formula. 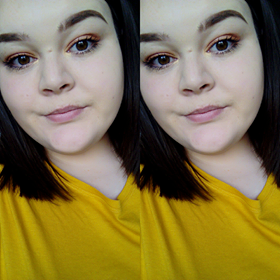 As far as the eye liner goes, I cant actually do a wing liner so I haven't used it as of yet, but it gives me good feels and makes me want to try out a wing liner so bad!! That glow though. I can honestly say that I've used this pretty much every day since I've got it, even the brush is pretty much life right now. The only annoying thing is that the "UD" on the brush rubbed off right away and even though that has nothing to do with the actual product, I am a little bit annoyed. As far as the product goes the high lighters SPARKLE. WHO DOESNT LOVE SPARKLE??!! 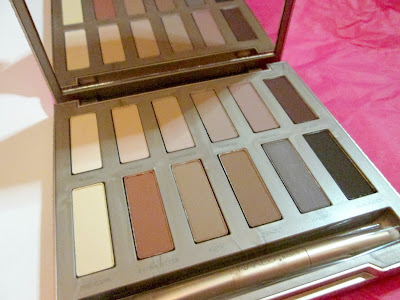 This palette is myy favourite thing right now, such a great palette full of all the basic nudes that you will ever need. I am loving shade extra bitter, and I've been using shade lockout for my brows every now and again. but it is such a good palette for basic everyday looks, and I wear it a lot for work. 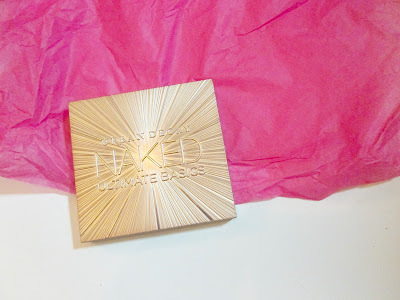 Are you loving urban decay as much as I am? What urban decay product is your favourite?